As a wedding photographer upstate New York I work often as a Hudson Valley wedding photographer. 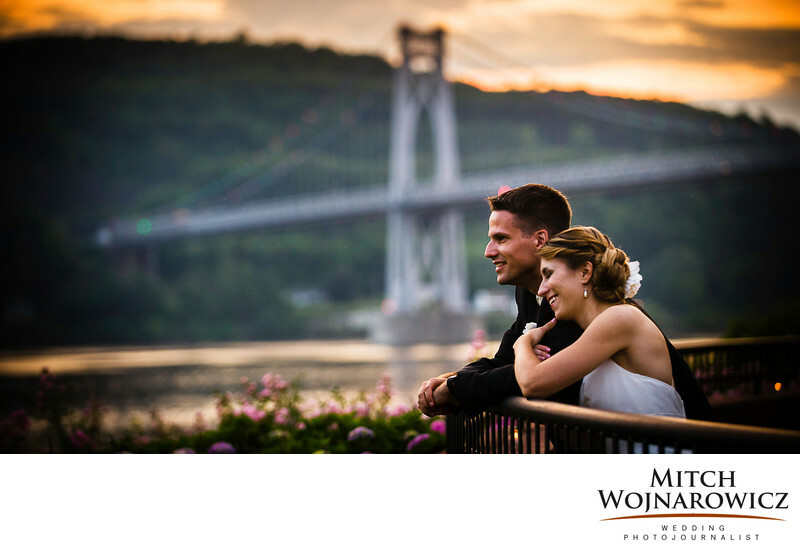 This Poughkeepsie Grandview wedding photo was taken during the reception. I often like to take my clients out of the reception for 10 or 15 minutes late in the evening or around sunset. It gives them a few minutes to catch their breath on the wedding day after all of the intense activity. It also gives us a few quiet moments to make some nice portraits of the couple. We went outside near the Hudson River and I just let the couple stay together and decompress a little from all the fun and noise of the reception at The Grandview. Putting themselves in a situation like this where they could be natural and with me staying back, a very relaxed and natural image resulted.Keywords: Grandview (6), hudson valley (24).